People always ask me what I’m reading. 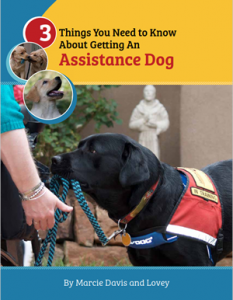 From service dog training books, working dog stories, and celebrity dog biographies, I’m sharing books that I found useful, educational, informative and inspiring. Most of the authors have been guests on the Working Like Dogs radio show. You can listen to the authors on the radio show podcasts, and order the books to get the full story. In addition to my own book, Working Like Dogs: The Service Dog Guidebook, These are the books I recommend for dog lovers and dog partners.